Soujirou has fallen into Magus’ trap. With him now depowered and helpless, it is up to the girls of the West Wind Brigade to save their Guild Master and defeat the PK’ers, but can they save Soujirou before he himself crosses his own moral line? The West Wind Brigade has finally come to call on the PK’ers, ready to rid Akiba of their corruptive influence on society. However Magus’ trap has rendered Soujirou powerless. Even worse it seems Magus is singularly obsessed with Soujirou, and is willing to take whatever methods to make Soujirou his and his alone. 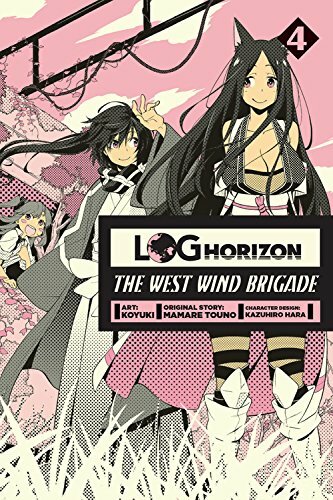 This third volume of The West Wind Brigade begins with one of the strongest bits yet in this manga series with an action scene and denouement that nicely rounds up the PK/Magus Arc. The action scenes are excellent, a good mix of offbeat comedy and fierce combat that sells the videogame-ness of the world and skill system. It is also strategically interesting, with the fight’s focus being on controlling information and the perception of your enemies as much as on personal skill and strength. That strategic element really helped invest me into the entire scene, being far more than just a bunch of mindless impact frames. As usual, the fights also gave a lot of the girls a real chance to differentiate themselves as some of them get their own showcase moment that really helps define their role visually (even if you won’t remember their names). A lot of the best, most intense, comedic, or just cool moments are these standout character beats, like the sneaky familiar-user, or the heroic guardian. The climax of the battle even ends off with the greatest look into the whole “harem-relationship” the series is built around. Though it’s not only the beginning battle that shows off this in-depth look into the “harem” side of WWB, that distinction is also given to exploration of the main villain, Magus’, character. 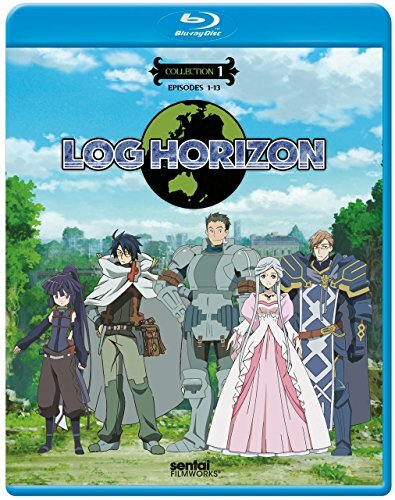 Magus from the beginning of the series seemed like a crazy, shiroe-lookalike who just did bad stuff for its own sake, but thankfully the revelations to Magus’ character bring out the best in what LH and WWB can bring in terms of character motivation. Magus begins this volume as an almost stock-standard “yandere” (which already develops the character far more the first 2 volumes) but as the book continues it shows Magus’ obsessiveness to be a reaction to his escapist fantasy of Elder Tales becoming “real.” It’s an almost touching, and pitiable backstory, which actually delves into what a society of only “gamers” would actually look like, and how some of them at least wouldn’t be the best at dealing with “real” social interactions. The other half of the thematic depth comes from how well Magus’ obsessive “love” is contrasted with the guild’s mutual love and respect for their Guild Master and each other. The only thing that really lets down both of these thematic high points is the dialogue which is just a bit stilted, leading to these themes being explored more bluntly than necessary. The final few chapters aren’t quite as thematically deep as the first ones, but they are mostly inoffensive. Its nice to see more from Sara (the resident NPC maid) after the first volume. She is a nice calming presence compared to the rest of the Shoujo-crazy guild. The very final part of the book however dives rather abruptly into the crescent-moon food arc of the main series. While it has been mentioned before in these books, the reintegration back of this plot point back into the series is very much jarring, and the same can be said for Shiroe’s reintroduction. (seriously it is a chronic problem in WWB that they just have panels of Shiroe popping up, and it still feels like he hasn’t been introduced properly). For fans of the LN/Anime who may recognise that the WWB was one of the first to try the crescent moon burgers, this final tease works, but I doubt it would have as much impact on newcomers. It’s a decent if not super engaging end to the volume. This third volume of West Wind Brigade manga has some of the strongest characterization, and thematic depth yet from the series. The first ⅔ of the volume are are very good, closing in on great, with an emotionally charged, action packed, thoughtful end to the magus arc that makes up for the more generic set up the previous volumes had of the arc. 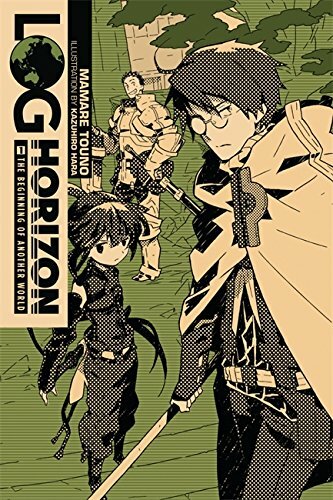 It doesn’t quite hit higher heights due to some blunt writing and out of nowhere shift to the next arc in the last chapter, but overall it’s a fun read, and a definite pick up for Log Horizon fans. 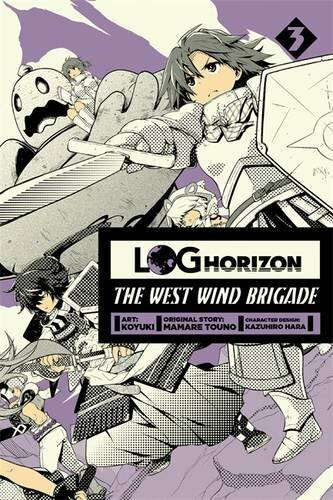 Log Horizon: The West Wind Brigade Vol. 3 was published in English by Yen Press, on July 26, 2016, translated by Taylor Engel. The original work was created by Mamare Touno with art by Koyuki, and published in Age Premium. Volume 4 releases in English on October 25, 2016 .